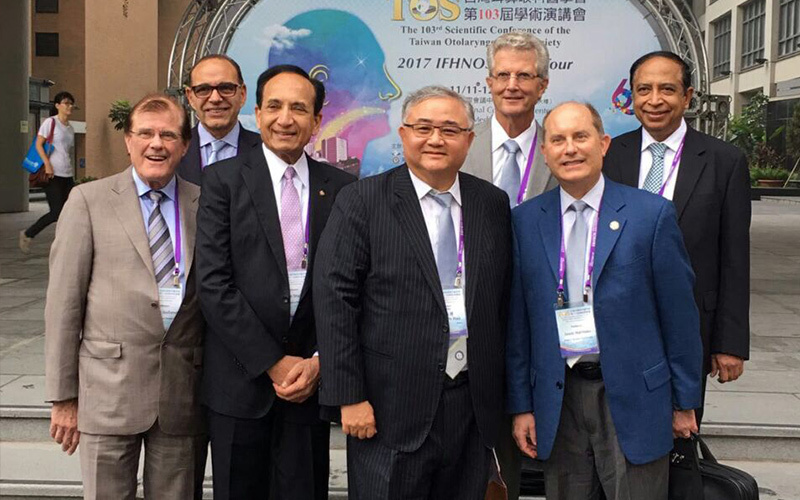 The International Federation of Head and Neck Oncologic Societies (IFHNOS) offered a global continuing medical education program featuring the most respected leaders in the field of head & neck surgery and oncology. This worldwide program covered locations in a sequence (shown below). Subsequent cycles will cover other parts of the world. Nations are clustered into regions to offer access to as many individuals as possible at each session. Leaders in the specialty of head and neck oncology have organized this program for each region.The program provided state-of-the-art knowledge and explored the frontiers of head and neck cancer diagnosis and treatment. Ample opportunity for interactive sessions between the local faculty, attendees and the traveling faculty were provided. The 2010 World Tour Program of the IFHNOS concluded on Oct 31. It was a grand success with excellent attendance at all locations. 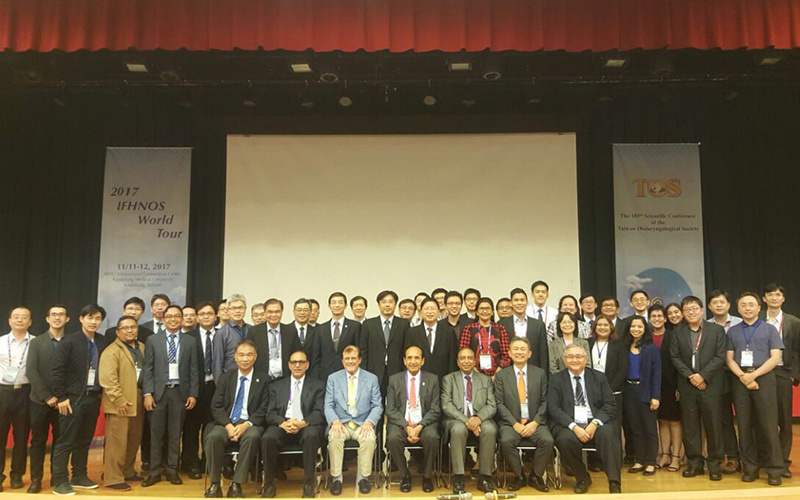 The travelling faculty spoke to nearly 3000 physicians during this one month long continuing medical education program around the globe. This program gave an excellent opportunity to the local faculty members at each location to interact with the travelling faculty, and generate interesting and informative discussions during the panel discussions. 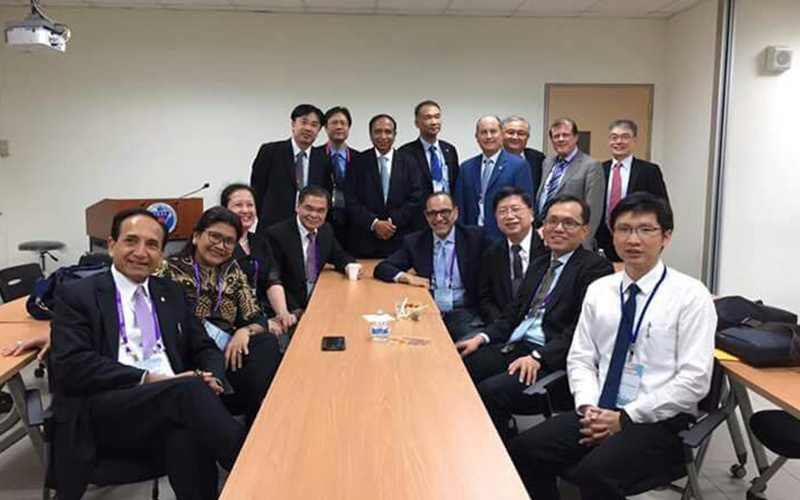 In addition this program gave an excellent opportunity to the travelling faculty to renew old friendships and make new friends in the 'fraternity' of Head and Neck Surgeons and Oncologists. 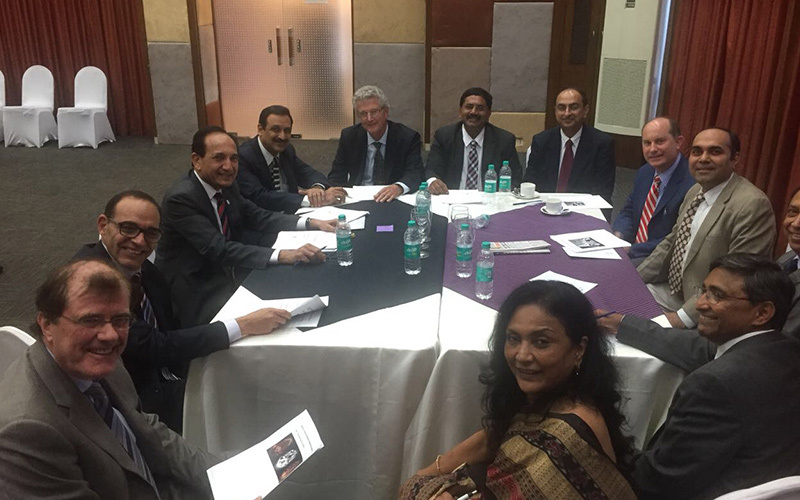 After two very successful World Tour Programs in 2008 and 2010, the International Federation of Head and Neck Oncologic Societies offered again a global continuing medical education program featuring the most respected leaders in the field of head & neck surgery and oncology. This worldwide program covered locations in a sequence (shown below). Future programs will cover other parts of the world. Nations are clustered into regions to offer easy access to as many individuals as possible at each session. 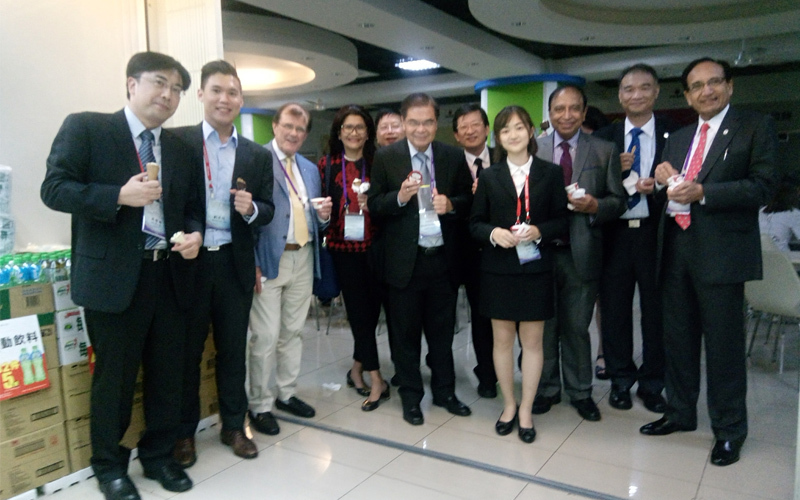 The program provided state-of-the-art knowledge and explored the frontiers of head and neck cancer diagnosis and treatment through introductory lectures, intense interactive discussions with regional specialists through case presentations, and demonstration of operative techniques through video sessions. 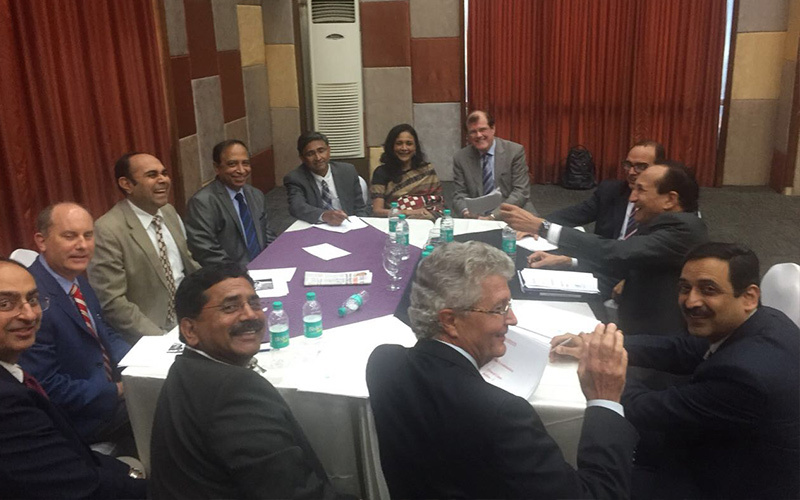 Ample opportunity for discussion between the local faculty, attendees and the traveling faculty was provided. After three very successful World Tour Programs in 2008, 2010 and 2012, the International Federation of Head and Neck Oncologic Societies is again offering a global continuing medical education program featuring the most respected leaders in the field of head & neck surgery and oncology. This worldwide program will cover locations in a sequence (shown below). Future programs will cover other parts of the world. Nations are clustered into regions to offer easy access to as many individuals as possible at each session. The program will provide state-of-the-art knowledge and explore the frontiers of head and neck cancer diagnosis and treatment through introductory lectures, intense interactive discussions with regional specialists through case presentations, and demonstration of operative techniques through video sessions. Ample opportunity for discussion between the local faculty, attendees and the traveling faculty will be provided. Professor Jatin Shah is an international leader who holds The Elliott W. Strong Chair in Head and Neck Oncology at Memorial Sloan Kettering Cancer Center in New York City. Professor Shah has served as President of The New York Cancer Society, The New York Head and Neck Society, The Society of Head and Neck Surgeons, The North American Skull Base Society, and the International Academy of Oral Oncology. He is Founder and CEO of The International Federation of Head and Neck Oncologic Societies (IFHNOS). 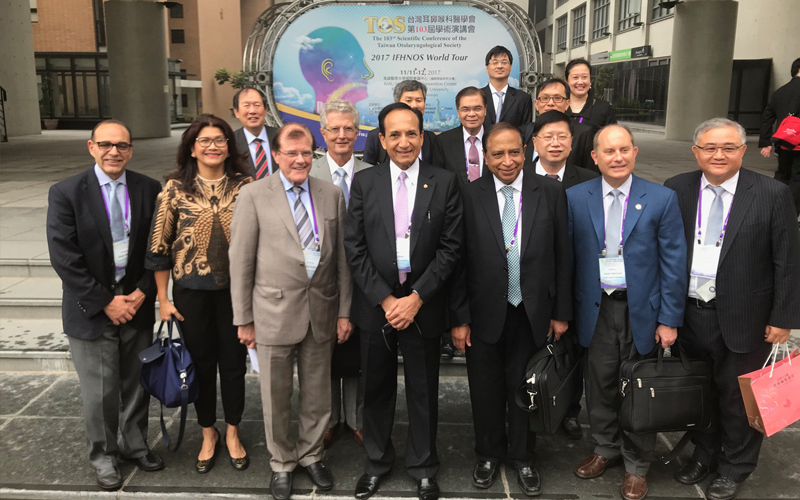 Professor Shah has been the recipient of numerous awards from all continents and is an honorary member of several head and neck societies in Europe, Asia, Australia and South America. He serves on the Editorial and Review Boards of 18 scientific journals and has published more than 500 peer-reviewed publications, 78 book chapters and 10 books. His textbook of Head and Neck Surgery and Oncology won First Prize from The British Medical Association and The Royal Society of Medicine, and was awarded the George Davey Howells Prize from the University of London for the best published book in otolaryngology in the preceding five years. He is a much sought-after speaker who has delivered 87 named lectures and keynote addresses and over 1,200 scientific presentations in 49 countries. In recognition of his outstanding contributions and world leadership in head and neck surgery, Memorial Sloan Kettering Cancer Center has established an endowed Chair in his name, the American Head and Neck Society has named an annual symposium in his honor, and the IFHNOS has established an eponymous lecture in his name at its World Congresses. Professor Ashok Shaha is an Attending Surgeon on the Head and Neck Service at Memorial Sloan Kettering Cancer Center, Professor of Surgery at Cornell University Medical College, and holds the Jatin Shah Chair in Head and Neck Surgery at MSKCC. Dr. Shaha completed his surgical training at M.S. University of Baroda and at The Tata Memorial Hospital in India. He completed his surgical training at Downstate Medical Center in Brooklyn, New York and a fellowship in head and neck surgery at Memorial Hospital. He joined the Department of Surgery at Downstate Medical Center in 1982 as a Head and Neck Surgeon, rising to the rank of Professor of Surgery in 1992. During this period, he was also Chief of Head and Neck Surgery at King’s County, Brooklyn VA Hospital and University Hospital. He joined the full time faculty of MSKCC in 1993. Dr. Shaha has been awarded many honors throughout his career. 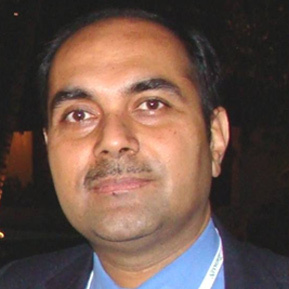 He has served as President of the New York Head and Neck Society, the American Society for Surgeons of Indian Origin, the Brooklyn Surgical Society, the New York Cancer Society, the New York Surgical Society, the American Head and Neck Society, and the American Association of Endocrine Surgeons. His CV includes more than 500 publications. Dr. Shaha has dedicated his professional career to the training of medical students, residents and fellows. 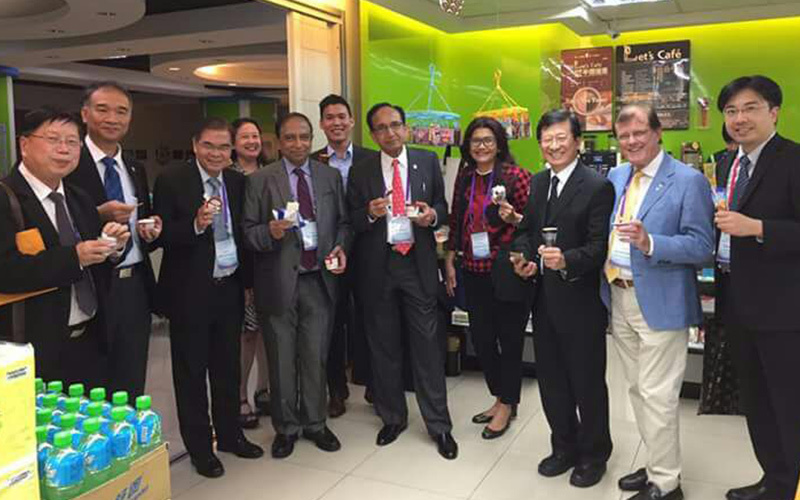 He was Chairman of the Advanced Training Council for Head and Neck Surgery and Oncology Fellowships in the USA. 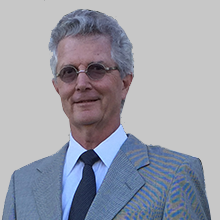 Professor Patrick Gullane is Otolaryngologist-in-Chief and Wharton Chair in Head and Neck Surgery at Princess Margaret Hospital, and Professor and Chair, Department of Otolaryngology-Head and Neck Surgery, University of Toronto. He has received numerous honours and awards during his career, including the Harris P. Mosher Award from the Triological Society, the Commemorative Medal for the 125th Anniversary of Canadian Confederation, and The Millennium Society Award from the American Academy of Otolaryngology- Head and Neck Surgery. He served as President of the American Head and Neck Society and The North American Skull Base Society. Prof. Gullane has been invited as a Visiting Professor to more than 42 countries, lecturing on all aspects of head and neck oncology, including the Sir William Wilde Lecture (2001) and The Eugene N. Myers International Lecture (2006). He has delivered more than 500 presentations nationally and internationally, and serves on the editorial board of 10 journals. He has published 210 papers in peerreviewed journals, 56 chapters in textbooks and 8 books on various aspects of head and neck surgery. He received the George Davey Howells Memorial Prize in Otolaryngology - University of London for the best publsihed book in otolaryngology- head and neck surgery in the preceding five years for co-authoring the textbook, Principles and Practice of Head and Neck Oncology. Professor Gullane was the recipient of an Honorary Fellowship from the Royal Australasian College of Surgeons. The Princess Margaret Hospital recognized Professor Gullane with a Tribute Event and Gala Evening for his contributions and leadership in head and neck oncology (2006). In recognition of this evening and his contributions, an endowed Fellowship Chair will be established. Professor Gullane was selected as recipient of Galway University’s prestigious Alumni Award - the Medtronic Award for Health Care and Medical Science, acknowledging his contributions to the development of Otolaryngology - Head and Neck Surgery Research, Ireland (2007). Ehab Y. Hanna, M.D., FACS, is Professor and Vice Chair of the Department of Head and ..
Ehab Y. Hanna, M.D., FACS, is Professor and Vice Chair of the Department of Head and Neck Surgery with a joint appointment in the Department of Neurosurgery and also serves as an Adjunct Professor of Otolaryngology, Otorhinolaryngology and Communicative Sciences, Head and Neck Surgery @ Baylor College of Medicine. He is an internationally recognized head and neck surgeon and expert in the treatment of patients with skull base tumors and head and neck cancer. He is the medical director of the Multidisciplinary Head and Neck Center and co-director of the Skull Base Tumor program. Dr. Hanna is leading the development of minimally invasive and robotic applications in skull base surgery. In addition to patient care, Dr. Hanna is actively engaged in clinical and translational research with emphasis on skull base tumors. Dr. Hanna is the past president of the North American Skull Base Society (2014) and the President-Elect of the American Head and Neck Society (2017). He is the Editor-in-Chief of the journal of Head & Neck, which is the official journal of the International Federation of Head and Neck Societies. Professor Louis Harrison received his MD from the S.U.N.Y Downstate Medical Center College of Medicine. He completed a Radiation Oncology Residency at Yale University School of Medicine, Yale-New Haven Hospital; he also served as Chief Resident. Following his Residency, he joined the faculty at Memorial Sloan-Kettering Cancer Center in New York. 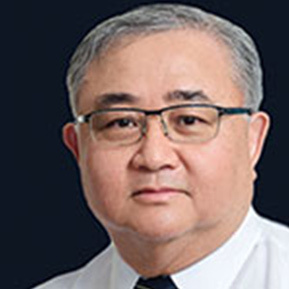 While at Memorial, he assumed increasing responsibilities over his 11 year tenure and was the Chief of the Brachytherapy Service in the Department of Radiation Oncology as well as the Institutional Leader of the multidisciplinary Head and Neck Cancer Disease Management Team. He was also appointed to the faculty of Cornell University School of Medicine; Assistant Professor (1987-1991); and Associate Professor (1991-1997). He joined the Continuum Health Partners (Beth Israel Medical Center, St. Luke's and Roosevelt Hospitals and NY Eye and Ear Infirmary) in 1997. At Continuum, he served as Chairman and Gerald J. Friedman Endowed Chair of Radiation Oncology and Physician-in-Chief of Continuum Cancer Centers of New York. He was also appointed as Professor of Radiation Oncology and Otorhinolaryngology-Head and Neck Surgery at the Albert Einstein College of Medicine. 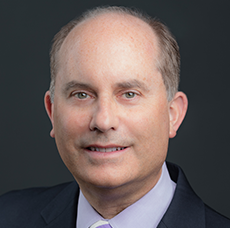 He served as Chairman of the Board and President of ASTRO, the leading radiation oncology professional society in the country, as well as President of the American Brachytherapy Society and President of the International Society of Intraoperative Radiation Therapy. He is the senior editor of the textbook Head and Neck Cancer: A Multidisciplinary Approach, now in its fourth edition. He is a co-editor of Intraoperative Irradiation: Techniques and Results, now in its second edition and the recipient of numerous awards including the Clarence Dennis Society Prize, the Henscke Award for Brachytherapy, the Physician of Excellence Award from the American Cancer Society and the Boyer Prize for Biomedical Research at Memorial Sloan Kettering Cancer Center. At Moffitt, the research focus has been on a major departmental research project called FORT (Future of Radiation Therapy). This project brings together genomics, radiomics, biologically adaptive RT, immunotherapy-RT combinations and mathematical modeling into a model of radiation therapy care which “personalizes” RT to the specific patient and their specific tumor. Dr. Merrill Kies has been devoted to patient care. Graduating with an MD degree from the..
Dr. Merrill Kies has been devoted to patient care. Graduating with an MD degree from the Loyola University Stritch School of Medicine in 1973, he trained in Internal Medicine at the Walter Reed General Hospital, in the Army Medical Corp, then as a fellow in medical oncology at the Brooke Army Medical Center of San Antonio. After this, in 1980, he joined Northwestern University of Chicago as Assistant Professor. Over passing years, he cultivated interest and experience in caring for patients with head and neck cancers. Focused efforts were in the study of medical therapy as a component of combined regimens for patients with locally advanced disease. He was named the Abby and John Friend Professor of Clinical Oncology in 1994. In 2000, he joined Waun Ki Hong and colleagues at the MD Anderson Center. To this day, he has been a collaborating medical oncologist, engaged in the care and treatment of patients with malignancies of the head and neck. 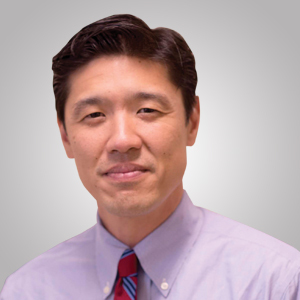 He has worked with leading head and neck physicians, innovative clinical investigators, and specialty support staff of multiple disciplines, in caring for patients with a broad spectrum of head and neck malignancies. After five very successful World Tour Programs in 2008, 2010, 2012, 2016 and 2017, the International Federation of Head and Neck Oncologic Societies is again offering a global continuing medical education program featuring the most respected leaders in the field of Head & Neck surgery and oncology. This worldwide program will cover locations in a sequence (shown below). 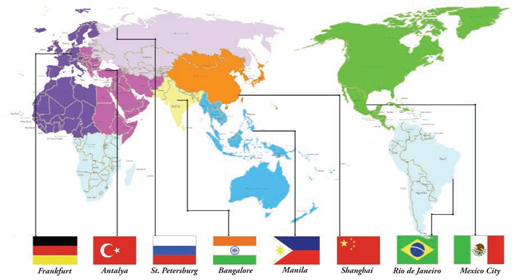 Future programs will cover other parts of the world. Nations are clustered into regions to offer easy access to as many individuals as possible at each session. The program will provide state-of-art knowledge and explore the frontiers of Head and Neck cancer diagnosis and treatment through introductory lectures, intense interactive discussions with regional specialists through case presentations, and demonstration of operative techniques through video sessions. Ample opportunity for discussion between the local faculty, attendees and the traveling faculty will be provided. 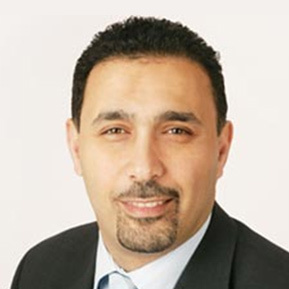 Professor Hisham Mehanna is the Chair of Head and Neck Surgery and Director of the Institute of Head and Neck Studies and Education, at the School Cancer Sciences, University of Birmingham. Hisham's clinical interests are recurrence Head and Neck cancer surgery and thyroid and minimal access parathyroid surgery. Hisham has a keen interest in clinical and translational research, heading a research team of 20 researchers, and holding over £12million in research grants. The main research areas of his research are Human Papillomavirus-associated Head and Neck cancer and thyroid cancer. His research themes are drug development and redeployment, biomarkers of treatment response and early and late phase clinical trials. He is chief investigator of several multicentre and multinational clinical trials, including the PET NECK trial, published in NEJM 2016. He is currently the President of the British Association of Head & Neck Oncologists (BAHNO), the Chair of the UK's National Cancer Research Institute's Head and Neck Group, and the Founding Secretary of the Head and Neck Cancer International Group, a collaboration of 20 national Head and Neck cancer research groups. Dr. Witterick is Professor and Chair of the Department of Otolaryngology-Head & Neck Surgery at the University of Toronto. Dr. Witterick is Professor and Chair of the Department of Otolaryngology-Head & Neck Surgery at the University of Toronto. He is the Chief of Otolaryngology-HNS and Chair of the Medical Advisory Committee at Sinai Health System in Toronto. Dr. Witterick is a Head and Neck surgical oncologist with special interest in sinonasal and skull base malignancies. He finished his term as President of the North American Skull Base Society in February 2018 and is currently Vice-President of the Canadian Society of Otolaryngology-HNS. He has been on the steering committee of the three World Congresses on Thyroid Cancer and is helping in the organization of future congresses in Rome (2019) and Boston (2021). He is a member of the Collegium Oto-Rhino-Laryngologicum Amicitiae Sacrum, an associate editor for the American Journal of Rhinology & Allergy and he is on the Editorial Boards of four other journals. He is a frequently invited speaker nationally and internationally and has published widely in the fields of Head & Neck oncology, rhinology, and skull base surgery. Dr. Sandro Porceddu is an internationally recognized radiation oncologist and a leading authority in Head and Neck and skin cancer. Dr. Sandro Porceddu is an internationally recognized radiation oncologist and a leading authority in Head and Neck and skin cancer. His areas of clinical expertise include Head and Neck cancer, skin cancer, sarcoma and lymphoma. He is currently a senior radiation oncologist and Director of radiation oncology research at the Princess Alexandra Hospital, Brisbane, Professor of Medicine, University of Queensland and Associate Editor for the International Head and Neck journal, Oral Oncology. He is a Fellow of the Royal Australian and New Zealand College of Radiologists, President of the Clinical Oncology Society of Australia (COSA) and the Trans-Tasman Radiation Oncology Group (TROG). He has over 150 peer-review articles. He runs an active Head and Neck/Skin cancer research program and is the principal investigator of numerous trials. Jan B. Vermorken was born in 1944, started his medical training in 1961, graduated in 1970 from the University of Amsterdam..
Jan B. Vermorken was born in 1944, started his medical training in 1961, graduated in 1970 from the University of Amsterdam, the Netherlands, and became a board-certified specialist in internal medicine in 1975. Since that time he has worked in the field of Medical Oncology and was officially registered as a Medical Oncologist in the Netherlands in 1992. He received his Ph.D. in Medical Sciences in 1986 from the Vrije Universiteit in Amsterdam. From May 1997 until October 1, 2009, he was Professor of Oncology at the University of Antwerp (UA), and head of the Department of Medical Oncology at the University Hospital Antwerp (UZA), in Edegem, Belgium. After his retirement, he remains connected to both University (Emeritus Professor) and University Hospital (consultant). His main fields of interest are head and neck oncology and gynecologic oncology. He chaired both the Head and Neck Cancer Group (2006-2009) and the Gynecologic Cancer Group (1983- 1989) of the European Organization for the Research and Treatment of cancer (EORTC). He was founding chair of the Gynecologic Cancer InterGroup (GCIG: 1997-2003) and strongly involved in establishing the Head and Neck Cancer International Group (HNCIG) in 2015. He devotes a large part of his time to teaching, professional training, and continuing medical education. Professor Vermorken is member of various scientific societies, member of several editorial boards of International journals, reviewer of multiple cancer journals and author or co-author of about 700 publications. He was Editor-in-Chief of Annals of Oncology from 2009 to 2014 and is chief editor of the head and neck cancer sections of The Oncologist (since 2003) and Frontiers in Oncology (since 2015). He received the ESMO award in 2007 and on March 1, 2013 he received the title of Commander in the Order of Leopold for his contributions to oncology. After six very successful World Tour Programs in 2008, 2010, 2012, 2016, 2017 and 2018, the International Federation of Head and Neck Oncologic Societies is again offering a global continuing medical education program featuring the most respected leaders in the field of Head & Neck surgery and oncology. This worldwide program will cover locations in a sequence (shown below). Future programs will cover other parts of the world. Nations are clustered into regions to offer easy access to as many individuals as possible at each session. The program will provide state-of-art knowledge and explore the frontiers of Head and Neck cancer diagnosis and treatment through introductory lectures, intense interactive discussions with regional specialists through case presentations, and demonstration of operative techniques through video sessions. Ample opportunity for discussion between the local faculty, attendees and the traveling faculty will be provided. Joseph Califano, MD, is an internationally recognized physician scientist who has translated multiple discoveries from his own laboratory into the clinic, including detection of HPV-related and other head and neck cancers. 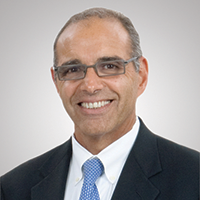 Dr. Califano is Professor of Surgery and Vice Chief of the Division of Otolaryngology-Head and Neck Surgery, Department of Surgery as well as Director, Head and Neck Cancer Center, Moores Cancer Center at UC San Diego Health. His major focus is the clinical practice of head and neck surgical oncology and the integration of basic, molecular biologic research in that practice. 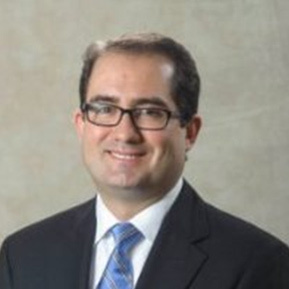 A graduate of Harvard Medical School, Dr. Califano performed his Otolaryngology-Head and Neck Surgery residency at Johns Hopkins Hospital, and completed a fellowship in head and neck surgical oncology at Memorial Sloan-Kettering Cancer Center. He then joined the faculty of Johns Hopkins and ultimately became Professor in the Head and Neck Division and the Division of Head and Neck Cancer Research at John Hopkins Department of Otolaryngology-Head and Neck Surgery before moving to UCSD. 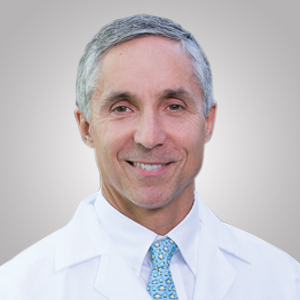 His surgical practice focuses on minimally invasive treatment of tumors of the larynx, pharynx, and neck, as well as treatment of premalignant conditions of the upper aerodigestive tract. Dr. Califano also currently directs an NIH funded laboratory investigating the molecular biologic basis of head and neck cancer. He has published over 280 peer reviewed articles related to both the clinical and basic scientific aspects of cancer, and currently serves as a member of the NCI Head and Neck Steering Committee and Council Member of the American Head and Neck Society as well as other professional organizations and editorial boards. 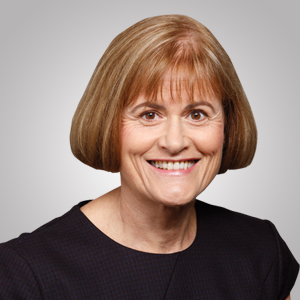 Professor June Corry is an internationally recognised Head and Neck Radiation Oncologist. She has dual medical oncology and radiation oncology qualifications. She was the Head of the Peter MacCallum Cancer Center H&N Service for 15 years and is now working with Genesis Care St Vincents Hospital Melbourne. She has served as the President of the ANZHNCS, TROG Executive / Publications / ANROTAT Committees, and the Chair of WCMICS and VCOG. She was a Founding Member of IAOO. She is on the Editorial board of JCO, IJROBP, OO and H&N journals. She has published over 120 manuscripts in peer review journals and multiple book chapters. She has a strong belief in collaborative clinical research and patient advocacy. 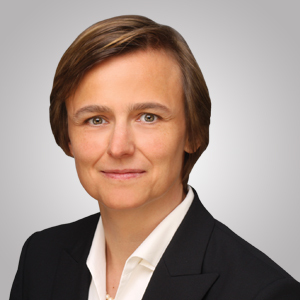 Dr. Barbara Wollenberg is Professor and Chair of the Department of Otolaryngology-Head & Neck in Lübeck at the University Hospital of Schleswig Holstein (UK-SH). She absolved her surgical education at the Department for Otolaryngology and Head and Neck Surgery at Großhadern Medical Centre, Ludwig-Maximilians-University Munich (LMU) gaining a broad surgical spectrum throughout otorhinolaryngology, frontal and lateral skull base surgery and reconstructive head and neck surgery. Simultaneously, she achieved a PhD in immunology. In 2001, she became a Heisenberg Scholar - a highly competitive research scholarship funded by the DFG (German Research Foundation). In the past, Dr. Wollenberg has held various other highly-respected positions, including the Subdean at the University of Lübeck (2004-2012), and Board Member of the Working Committee Otorhinolaryngology, Cranio-Maxillo-Facial Surgical Oncology of the German Cancer Society (AHMO, President: 2015-2017) President of the German Society for Otorhinolaryngology and Head and Neck Surgery (2017/2018). Currently, she is one of the senators of the German Research Foundation DFG and the German National Academy of Science Leopoldina. She is member of various scientific societies, member of several editorial boards of International journals and reviewer of multiple cancer journals. From the beginning of the residency, Dr. Wollenberg is fascinated by oncologic research. She built up a large team from biologists and physicians predominantly focused on immunologic research at the border between the tumor and the immune system and the development of 'Immunological Therapies of HNSCC'. In this setting, she was very successful in winning research awards, raising grant funding and publishing in peer reviewed journals and books. Dr. Wollenberg is a passionate teacher in the laboratory as well as in clinic.